As a three-time elite British National Champion on the track, Jan “The Boss” Birkmyre, is a force to be reckoned with. She trains while working full time as a Marketing Consultant and has won at least one elite national medal in each of the years she has been racing and claimed the prestigious National Omnium series title eight times in 11 years. At a masters level she is rarely beaten, in fact she has never failed to make the podium in any masters event she has started. She has 37 World Masters titles to her name, set seven World Masters records and has never been beaten at the European Masters level from 28 starts. She has also won 57 National Masters titles. In addition to the track racing, Jan has had some memorable wins on the road, including the Tour de France support race on The Mall, two victories at the Tour of Britain support race, plus a win at the Hillingdon Grand Prix. She was also part of the TORQ team which raced the National Team Time Trial Champs and picked up silver and bronze medals, even if she did need to be nursed over the line by her fellow teamies each time! Planning a training camp this spring? TORQ have put together a definitive guide to multi-day event nutrition – perfect for training camps or food for thought (pun intended) for multi-day track meetings too - enjoy! 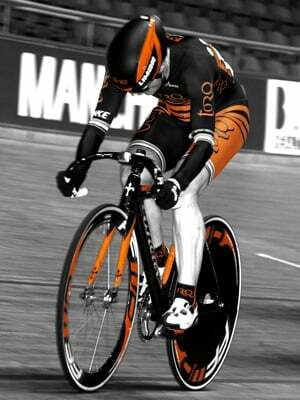 This is (almost) too good to be good for you ... but if anyone can do it @TORQfitness can #TORQFuelled and happy!